With a stay at Comfort Inn The International, you'll be centrally located in Apollo Bay, a 2-minute drive from Apollo Bay Harbour and 6 minutes from Great Otway National Park. 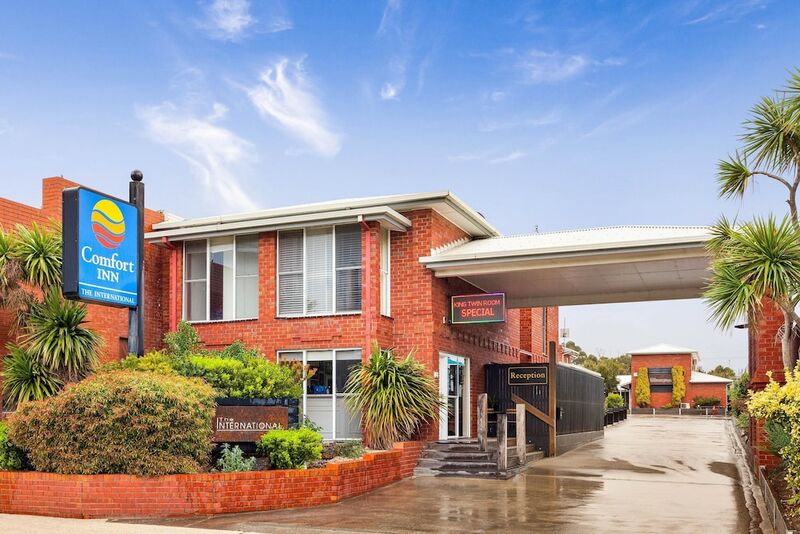 This 4-star motel is 22.5 mi (36.2 km) from Johanna Beach and 0.3 mi (0.4 km) from Great Ocean Road Visitor Information Centre. Make yourself at home in one of the 24 individually furnished guestrooms, featuring refrigerators and microwaves. Complimentary wireless Internet access keeps you connected, and cable programming is available for your entertainment. Private bathrooms with showers feature complimentary toiletries and hair dryers. Conveniences include desks and ceiling fans, and housekeeping is provided daily.